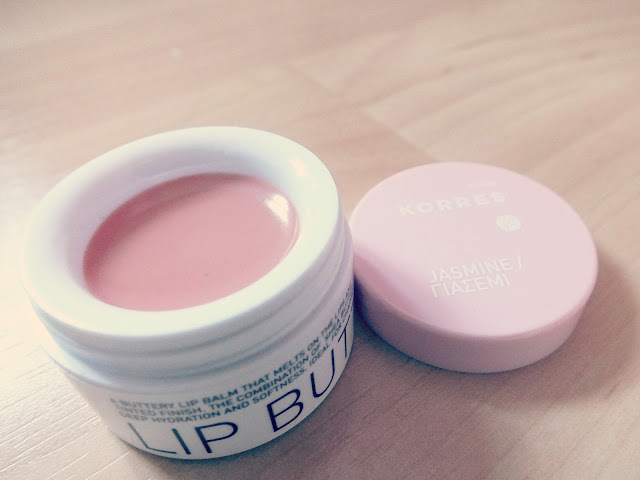 I mentioned a few posts ago that I'd bought my first Korres Lip Butter as I'd heard so much about them and I'm definitely someone who needs a good lip balm around! My lips get super chapped in the winter so I thought it was about time I started testing some new lip balms out. I decided to go for Jasmine as I like a nice light pink and I thought it would be best for every day. How gorgeous is the packaging? I didn't want to throw the box away! (I did though, I once went through a phase of never throwing away boxes from beauty products - not a good idea) The actual product is in a very pretty pink and white pot too so it looks cute on my dressing table. 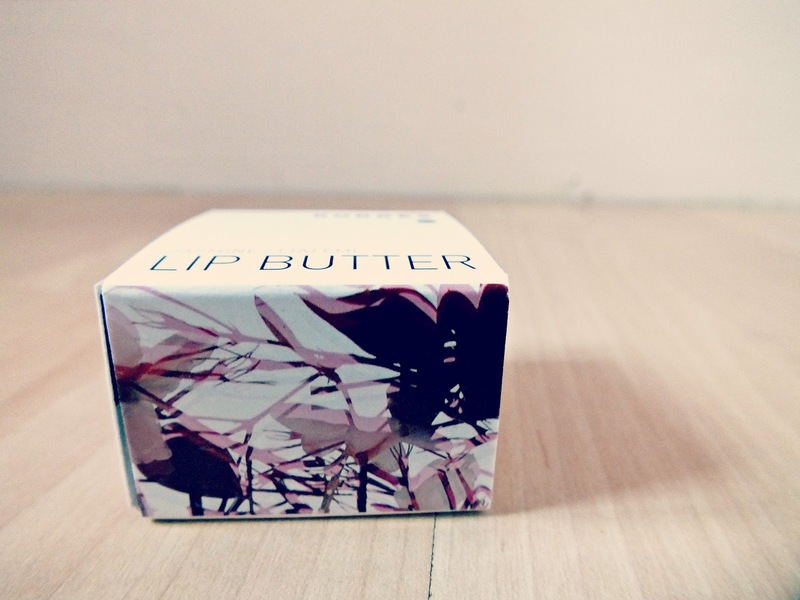 This lip balm feels absolutely lovely on the lips and leaves a gorgeous light pink sheen. It's a very subtle light pink gloss. I love to wear it over MAC's Hue lippy. It's scent is absolutely beautiful, to me it doesn't smell like jasmine at all, it's very sweet, almost like the Yankee Candle Christmas Cookie, which I personally absolutely love so that's a bonus for me. 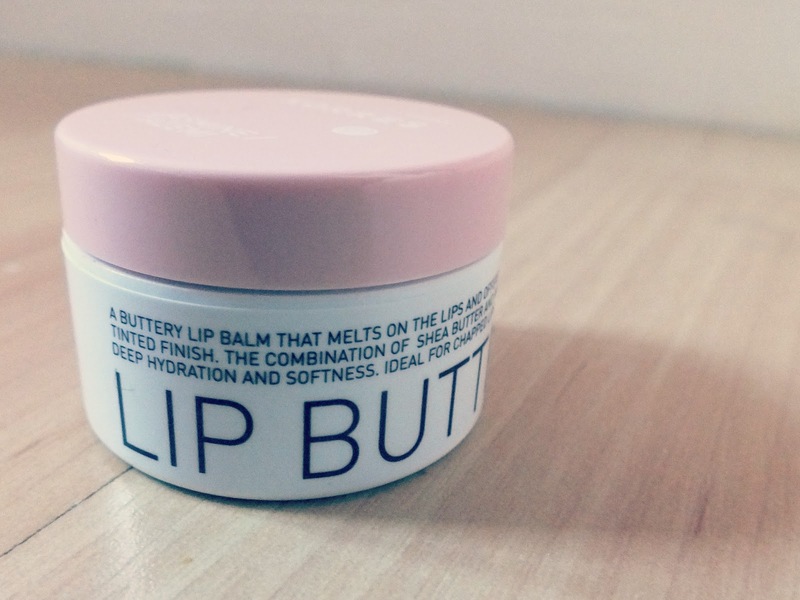 But packaging, colour and scent aside, let's get to the important part, does this lip butter actually work? Yes, yes it does. I'm very fussy with lip balms as as I've mentioned many times, I have very dry lips and this works a treat. It feels super moisturising and leaves my lips feeling soft and crack free! Overall, I'd definitely recommend giving this a try if you're in need of a new lip balm. What do you think? Have you ever tried a Korres Lip Butter? P.S I'd like to know, after my current favourites giveaway (linked in the sidebar if you'd like to enter!) Would you rather lots of little giveaways like the current one, or one big collective 'goodie bag' giveaway - let me know! I have jasmine too, it smells unbelievable!